Can you feel it? There’s change in the air. And not just the latest MS Windows update that “retires” Windows Paint, or the new cast in the West Wing. Reinventing is what Foodservice folks have been doing for millennia. And now that Millennials are assuming leadership roles, change is inevitable. From announced unit closings to equipment innovations to mergers & acquisitions, 2017 will be remembered as a year that redefined what the industry looks like. Will you be embracing disruption, or left in its wake? In anticipation of its October price book release, Blodgett has put MINI COMBI’S ON SALE! So, you made it halfway through the dog days of summer! Those lazy, hazy, crazy days that you waited all year to enjoy. Hopefully, you are getting out and embracing the fine weather that Mother Nature has bestowed. Dog days conjure up images of swimming, soft-serve stands, mini-golf, boating, softball, golf, and drives through the country. Barbecues and clambakes, frozen drinks, cook-outs and al fresco patio dining should definitely be on the agenda! Welcome to palindrome Monday 7/17/17 – it’s got you coming and going. I saw desserts; I’d no lemons, alas no melon. Distressed was I. Are pass-through units the palindromes of foodservice equipment? 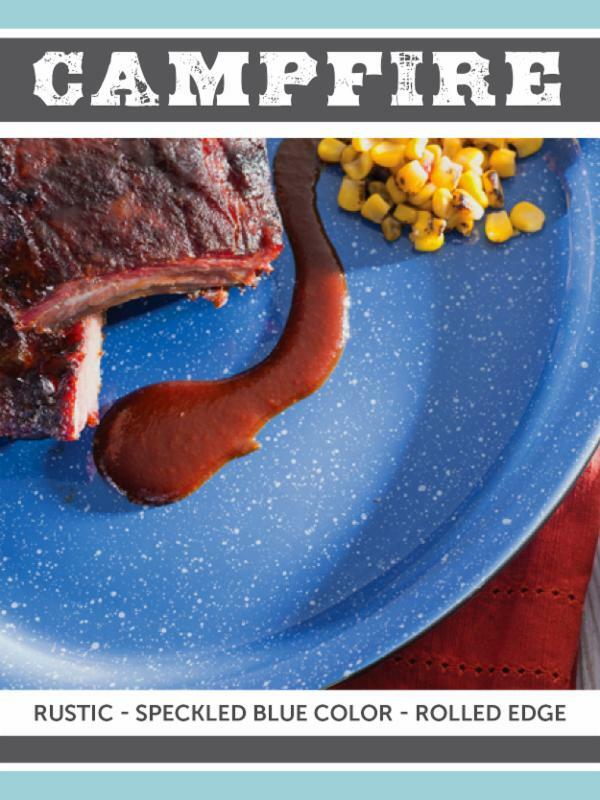 Summer is here, and what a better way to celebrate summer than with Campfire Dinnerware from ITI! Campfire is reminiscent of enamel campfire dining sets but is designed to handle the rigors of today’s foodservice establishments. Offering a unique combination of rustic durability teamed with the quality that you have come to expect from ITI, Campfire can be the perfect choice for any casual dining setting! Be sure to check it out today!! Looking for foodservice-focused baking equipment? Marsal gas & electric pizza ovens are in and will be operational next week at the Pecinka Ferri Culinary Center in Fairfield. These are in addition to the Blodgett Combi Ovens, Rotating Rack Ovens, (and, of course) Convection Ovens, Doyon Artisan Stone-Deck Oven, NuVu and Houno ovens – all ready to be test-driven! Sheeters, dividers, rounders, mixers, showcases, blast chillers, shock freezers, standard refrigeration, fryers, ranges: All your equipment needs for a successful bake operation, now under one roof. Contact our certified executive chef for a hands-on bake today!